East African Boran cattle (photo credit: ILRI/Paul Karaimu). Watch this good, short (2-minute) film by Jim Drury of Reuters TV about an international group of scientists is developing a vaccine to combat deadly East Coast fever, a disease that decimates cattle herds in 12 countries of sub-Saharan Africa. The scientists believe the vaccine could also help malaria and cancer research. The consortium of institutions conducting this collaborative research is led by the International Livestock Research Institute (ILRI), which is a member of the CGIAR Consortium and headquartered in Nairobi, Kenya, where ILRI’s state-of-the-art animal disease laboratories are located. 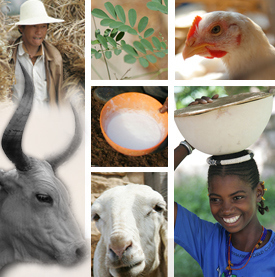 ILRI has become a hub for development of livestock vaccines against diseases that threaten farm animals in the developing world. 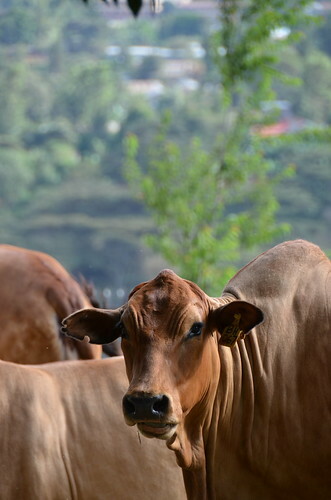 In addition to its work on East Coast fever, ILRI and its partners are shepherding efforts to develop novel vaccines for African swine fever, peste des petits ruminants (goat plague), contagious bovine pleuropneumonia (lung plague) and Rift Valley fever. The new East Coast fever vaccine project is supported by a USD11 million grant from the Bill & Melinda Gates Foundation (USA), with additional support coming from consortium partners. They include the Centre for Ticks and Tick-Borne Diseases (Malawi); GALVmed, a livestock-oriented non-profit product development partnership (UK); the Institute for Genome Sciences (University of Maryland, USA); the Institute of Tropical Medicine Antwerp (Belgium); the Roslin Institute (University of Edinburgh, UK); the Royal Veterinary College (UK); the United States Department of Agriculture-Agricultural Research Service (USDA-ARS); and Washington State University at Pullman (USA). Tags: Central Africa, Film, Reuters TV, Southern Africa. Bookmark the permalink.